It's beginning to sound a lot like Christmas on TV as familiar voices return for strolls down Santa Claus Lane. Charlie Brown comes a-calling, the Grinch comes a-crawling, and other classic animated wintertime characters are brought once again to life in the television specials that typically return year after year to brighten up the small screen with retro holiday memories. Let's begin our holiday jaunt with this very merry Christmas gift from cartoonist Charles Schultz and his Peanuts gang. With a jazzy music score by Vince Guaraldi, the cartoon special from 1965 features Peter Robbins as the voice of Charlie Brown, who just wants to know what Christmas is really all about. Snoopy's "vocals" were provided by longtime Peanuts animator Bill Melendez. Chuck Jones, the genius behind many classic Warner Bros. cartoons of the1950s and '60s, directed TV's enduring adaptation of the Dr. Seuss classic that aired originally in 1966. Legendary horror film actor Boris Karloff was the narrator and the voice of the green-meanie Grinch, who dresses up as a faux Santa and robs the goodies from Who-ville's citizens, including sweet Cindy Lou Who. British-born Karloff, who made his mark as the original Frankenstein monster and the Mummy for Universal Studios in the studio's horror heyday, died of emphysema in 1969 at age 81. 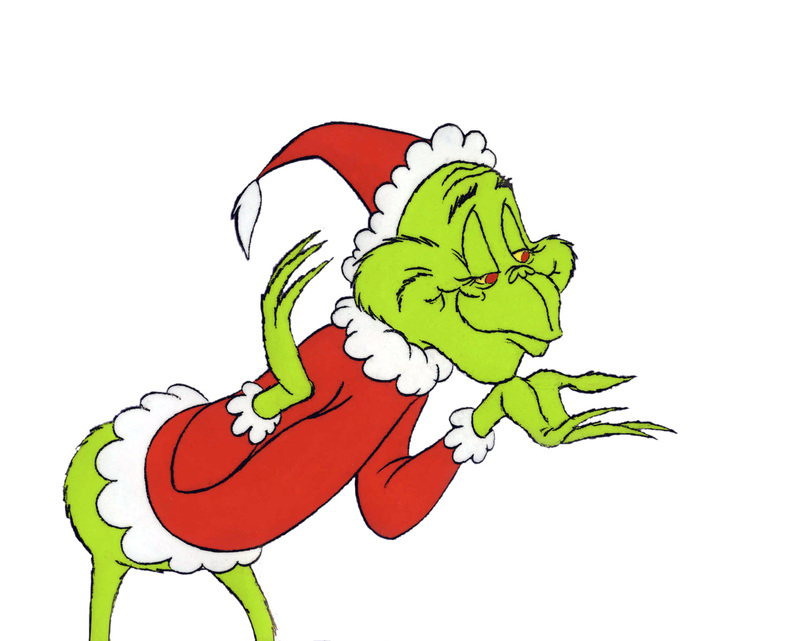 The unmistakable singing voice of the Grinch ("You're a mean one, Mister Grinch") was the basso profundo voice actor Thurl Ravenscroft, the voice of Tony the Tiger in Kellogg's Frosted Flakes commercials for decades. Cindy Lou Who was handled by veteran cartoon voice artist June Foray, now 93, who was also the voice of Bullwinkle's TV pal, Rocky the flying squirrel. A musical adaptation of Charles Dickens' Yuletide tale takes center stage this 1962 holiday special, which starred the recognizable voice of Jim Backus as the near-sighted Magoo, who becomes miserly Ebenezer Scrooge for a theatrical production. It featured original songs by the Broadway tandem of Jule Styne and Bob Merrill, who went on to create Funny Girl. Among the memorable songs in the 53-minute cartoon, "The Lord's Bright Blessing" stands out with Tiny Tim warbling for razzleberry dressing and woofle jelly cake. Backus, probably most famous as millionaire Thurston Howell the III on TV's Gilligan's Island, created the voice of Magoo in the 1950s. He died in 1989 at age 76 after suffering from Parkinson's disease. Producers Arthur Rankin Jr. and Jules Bass concocted the meticulous "Animagic!" style of stop-motion animation for this heartwarming 1964 special. Well-known folksinger and Oscar-winning actor Burl Ives was hired to provide the cozy vocals of Sam the Snowman and perform the memorable tunes "Silver and Gold" and "A Holly Jolly Christmas." Music for the special was composed by Johnny Marks, the writer of the original song from which the legend of Rudolph sprang. "When I tour across the country, I am recognized as Sam by everyone from airline stewardesses to the smallest of children," Ives, who died in 1995, once noted. "The popularity of that special overshadows my Oscar performance in The Big Country and my performance as Big Daddy in Cat on a Hot Tin Roof put together." As for Rudolph, actress Billie Mae Richards voiced the reindeer with the noisy nose, and Hermey the Misfit Elf was voiced by fellow Canadian Paul Soles. Produced in traditional cartoon animation by Rankin/Bass, Frosty the Snowman (1969) was based on the 1950 hit song by Gene Autry and featured the voices of veteran funnyman Jimmy Durante as the singing narrator and comedian Jackie Vernon as the magical snowman brought to life with the power of a stovetop hat. Veteran vaudeville entertainer Durante, nicknamed "the Schnoz" for his big nose, died of pneumonia in 1980 at age 86. Vernon, a standup comedian known as "The King of Deadpan," died of a heart attack in 1987 at the age of 63. Do you recall Joe Yule Jr.? It's the real name of multi-talented actor Mickey Rooney, who stepped into the boots of Kris Kringle in Santa Claus Is Coming to Town in 1970. Dancer-actor Fred Astaire, who died in 1987, narrated as a rural mailman offering the origins of Santa in this classic Rankin/Bass stop-motion special based on the 1934 hit song by Eddie Cantor. Rooney, 91, who today appears at nostalgia shows and takes an occasional movie role, remains nostalgic about the project. "I've done thousands of films, and everybody remembers me for that. I've played Santa Claus a few times, but that one seems to stick."